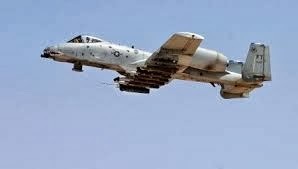 The U.S. Air Force, proving once again that it disdains the close air support mission so vital to the U.S. Army, is trying to retire about 300 A-10 Warthogs. The USAF maintains that the new F-35 stealth fighter is an adequate ground support despite the fact that it carries a reduced payload, has a low loiter time (compared to the A-10), flies too fast, and is years away from service as a close air support aircraft. Read more in "Watch the A-10 Movie the U.S. Air Force Doesn't Want You to See", War is Boring, December 4, 2014.